Pedaltown Bike Valet is available at every Levitt Shell concert! 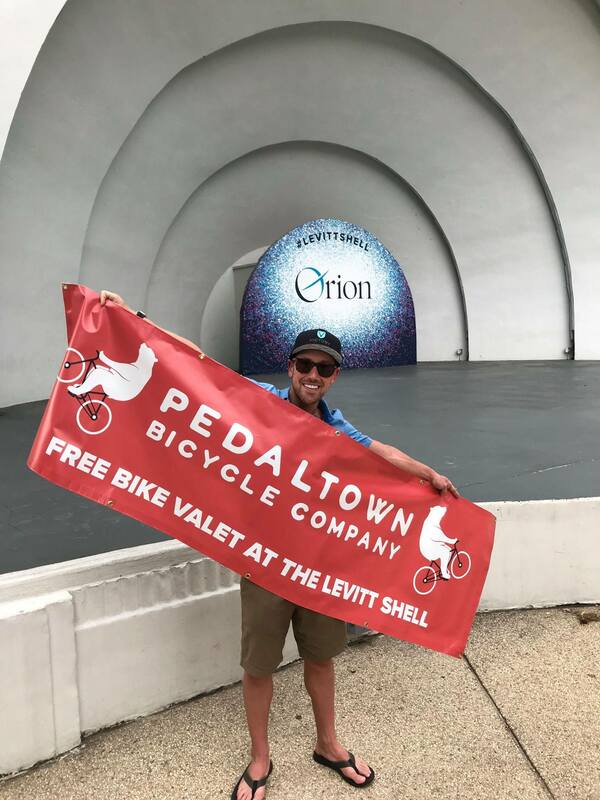 Ride your bike to the Levitt Shell and safely valet with our volunteers while you enjoy the show. It’s all FREE thanks to your friends at Pedaltown Bicycle Company. They’ll be giving away a fun prize at every concert. If you use the free bike valet, you’re automatically entered to win!